Some moments are unforgettable. Like when you glance excitedly at your grandmother's drawers, where deluxe accessories are mysteriously kept with care. Among these, some lucky ones among you will most likely find a Chanel bag. Coco Chanel, the founder of the Maison, had that proud attitude of women who lived and loved deeply. Her designs did not reflect silly snobberies or quiet bon ton, as much as the need for a pursuit of beauty in the everyday life. In fact, if an accessory walking women through the obstacles of life really exists, it is definitely her bag. Women with such a strong attitude as Mademoiselle Chanel's do not stay still and quiet for long. So she designs a bag with a chain shoulder strap, allowing her to keep her hands free. It's February 1955 and, soon enough, all the ladies want “a 2.55”, with reference to the date of its creation. Of course, 2.55 is not merely functional. It is a luxury, handmade gem, designed and researched in every detail. Still today, it requires 180 technical operations to be made. Touching a 2.55 is an authentic pleasure. The jersey fabric of the first models is soon replaced with smooth lambskin, with a quilted diamond pattern inspired to the jackets worn by stablemen. The round pocket on the back recalls the smile of Leonardo da Vinci's Mona Lisa and is essential to contain your small change or your tickets for the theatre. In Coco's version, a fine rectangular closing lock – the “Mademoiselle Lock” - keeps the secrets safe and sound inside the bag. Interesting fact: long after Coco, in 1988, Karl Lagerfeld introduced the famous double CC lock and named this version “2.88”, in an attempt to refresh the name of the previous model. Yet, the symbolic impact of 2.55 was and still is such that this name never really worked. Today, even the 2.88 is still normally called “2.55”. Inside, the 2.55 bag has a rouge noir lining recalling the colour of the orphanage's uniform where Mademoiselle was raised. It is designed in every detail to organize the nécessaire you need with you. The more classic pocket holds the business cards you give and receive; bellow pockets contain your powder compacts and your lipstick. Finally, a pocket secretly located under the flap lets you casually hide your most personal things – they say Coco would hide love letters there. The 2.55 bag is available in several sizes, depending on your lifestyle and schedule. Of course, Chanel bags are not for all. In fact, it was a princess who inspired the bag designed in 1989. Obviously, it was Diana, Prince Charles' wife “Lady D”, who became famous for her quiet elegance and her kind heart. The Lady D bag is quite similar to the 2.55, equally smart and minimal. It features a chain shoulder strap and a round case quilted in its centre, with perfectly smooth edges. This princess bag is highly requested and hard to find, especially the grained leather version. The Maison even launched a new edition in 2015, adding leather details to the chain of the shoulder strap. With times changing, the daily life of women becomes more and more hectic. As a consequence, Maison Chanel channels its aesthetic on a more casual and sporty mood. In season 2004-2005, the Cambon bag is launched, a tribute to the name of the road where the first Chanel boutique was opened. The Cambon is a large bag made of smooth quilted calfskin that shows off the classical double CC logo on the side. Several combos and colours were made available to fit every style. So comfortable and customizable it is no surprise it is one of the most requested models. Today, the Cambon bag can carry just about anything, from your e-reader to documents for work – no need to schedule pit-stops or to wonder whether you left anything home. The life of a woman is not only about business. It's also about fun. Indeed, in spring/summer 2009, Maison Chanel designs a bag for weekend escapes, Paris Biarritz, inspired by Parisians' favourite destination for summer holidays. Paris Biarritz is a spacious tote, ideal for travelling with elegance. Materials mix quilted leather, obvious reference to the Maison, and a highly resistant canvas hem. Graceful and understated, here the logo appears discreetly as a charm of the zip in a double CC shape. Side pockets easily hold your plane tickets and keys for your “buen retiro”. The adjustable double handle ensures perfect comfort and resistance - so you can avoid thinking about anything but unplugging. In the evening, your freetime casual style turns into neat minimalism. Chanel is the ultimate brand when it comes to polished parties and launches the Timeless Clutch. Defining it as an evening accessory would be an unacceptable euphemism. This clutch is an exquisite gem that creates a mood and glam vibes on its own. The linear design features the classic double CC lock, black lining and a discreet small zipped pocket in the inside. The grained leather version is stunning - you can walk around with it one hand and a glass of white wine in the other. Though the inside is large, Mademoiselle Chanel's motto “less is more” is always worth following: for a party or a dinner out, just bring the essentials, a lipstick and your smartphone. You don't need anything more. This bag makes everything exceptional on its own. Karl Lagerfeld always remembers that, for Chanel, feelings are basic. With this in mind, he launched the Boy model in the winter collection of 2011, as a tribute to Coco's strongest love, Boy Capel. With an innovative and edgy aesthetic, the Boy bag turns the classic 2.55 into a more masculine and structured version with a linear design. Showing off sharp, modern edges, the wide case is embellished with different smart decorations. It is made of excellent quality materials, lamb or calfskin, designed in every single detail. The lock on the back of the double CC logo has a square shape, the shoulder strap is wider and the chain has a darker and more antique look. The Boy bag is an essential accessory: it makes any plain dress polished, elevates any sporty look and completes any free-spirited, charming and confident woman. Beautiful, sophisticated, sporty, educated, active, independent, elegant, smart, free: Chanel bags have always reflected women's changes and attitudes. 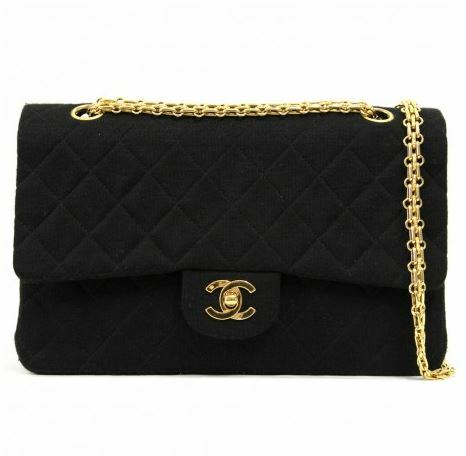 Nothing is impossible, no obstacle is impassable and no event is too polished if you have a Chanel bag with you. If you are lucky, one day, your daughters and nieces will take a glance at your drawers. Maybe, they will discover with a thrill the discreet luxury of a Chanel kept with care. It will be their turn to be special. Indulge in luxury. 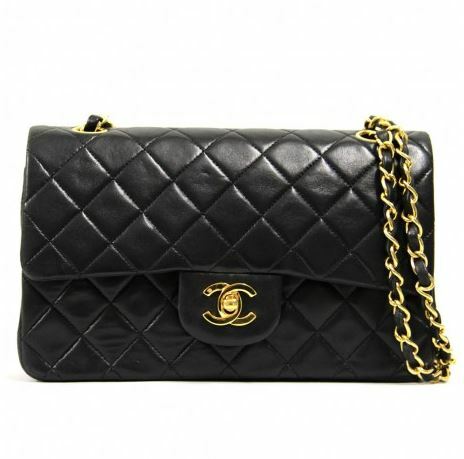 Find a selection of Chanel bags in our boutique and in our online store.